Savannah 'ran into the street' in these pajamas — luckily they were cute! When most of us put on our pajamas at night, we don't usually expect to make a fashion statement — I know my oversized T-shirts and cut-off shorts aren't exactly runway material. However, when Savannah Guthrie had to unexpectedly go outside in her pajamas, she just so happened to be wearing some adorable, fashionable flannel PJ pants. On Tuesday, Savannah took to Instagram to share a late night predicament that ended with her wearing sleepwear in public. "Fire alarm in my hotel at 2:30 a.m. and these are the PJ pants I ran into the street wearing," she captioned the photo. "It was a bold look." It may have been "bold," but we absolutely love it! Her Instagram comments have since been flooded with comments from people asking about the vibrant pants. If you want a pair for yourself (which we totally do) we found them at Anthropologie in three different color options. We think pajamas are not only a nice thing to purchase for yourself, but they also make a great gift. 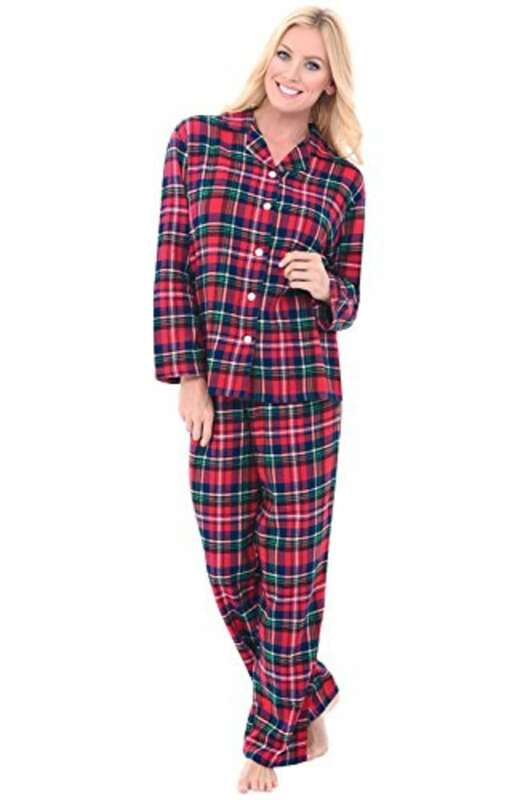 Here are some other cozy pajamas that we are loving for the holiday season. 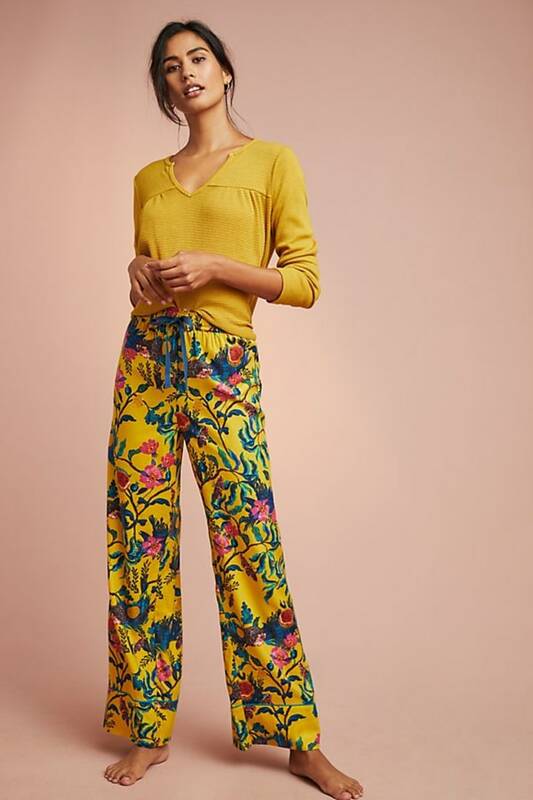 Silk pajamas have a luxurious feel and these pants are beyond chic. 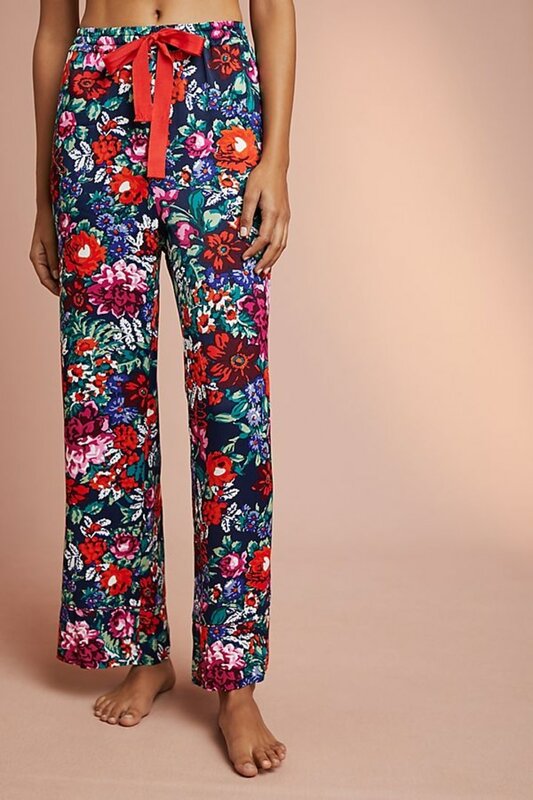 The bright floral print is sure to inspire a smile. 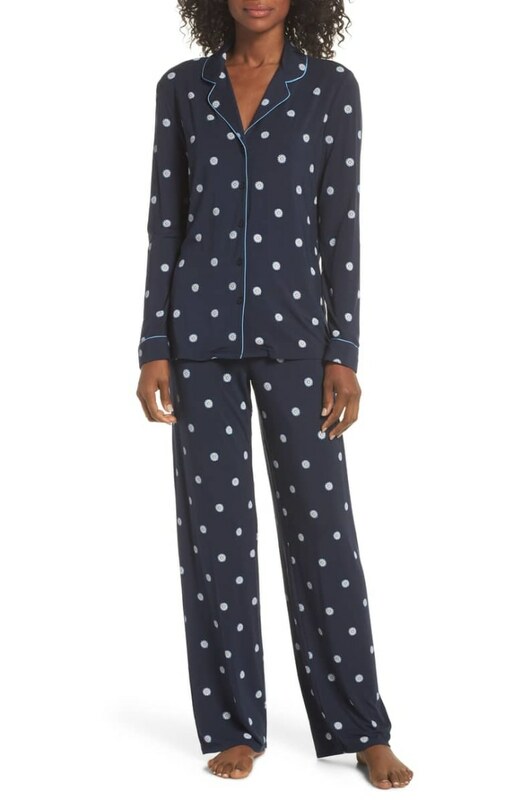 This soft pajama set is whimsical and perfect for relaxing on a snowy night. The silhouette is menswear-inspired, but the design itself has a feminine spin. These cotton PJs are ideal for Christmas night. The plaid is so festive! Velvet is on-trend right now, and we think this pink velour sleep set is super cute. It is also available in gray and burgundy. 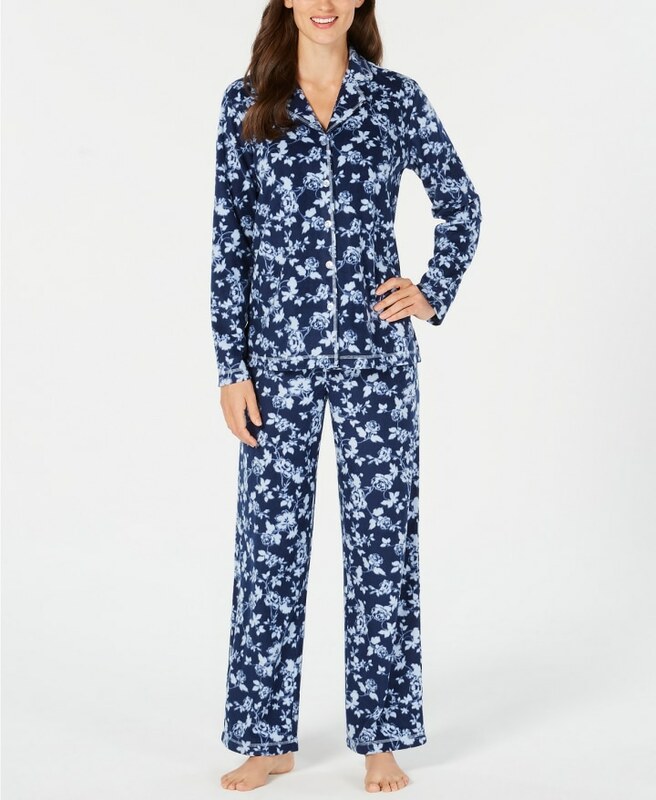 This fleece PJ set has a classic silhouette with an elegant floral print. There are many other print options as well. You may want to get more than one set!